You guys. Have you heard about Thrvly yet? I JUST discovered it, and I am SO pumped about it! You can find ERYTHANGGGG healthy there! It’s like having thousands of websites in a single destination. AND THEN TRY TO FIND THEM ALL AGAIN. That’s the worst. I always forget where I saved stuff. You too? I knew it. Thrvly has Instructors, Authors, Trainers, Nutritionists & Chefs aross every discipline of Fitness & Nutrition. Guys. WHEREVER your interests lie…you will find the most passionate instructors from around the world creating healthy dishes & building inspiring workouts for you to use. And Guess what? 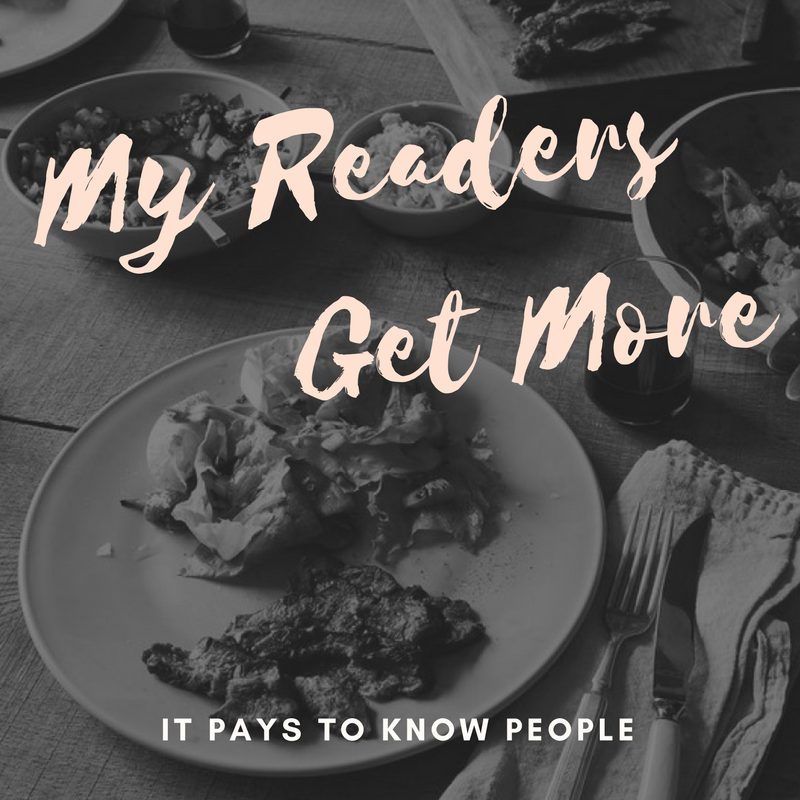 My readers (AKA : YOU!!) get Free Forever Basic Membership! join early here and you’ll get your first month of premium membership for free! And, best of all, don’t lose inspiring, AWESOME content in the clutter of everything else. 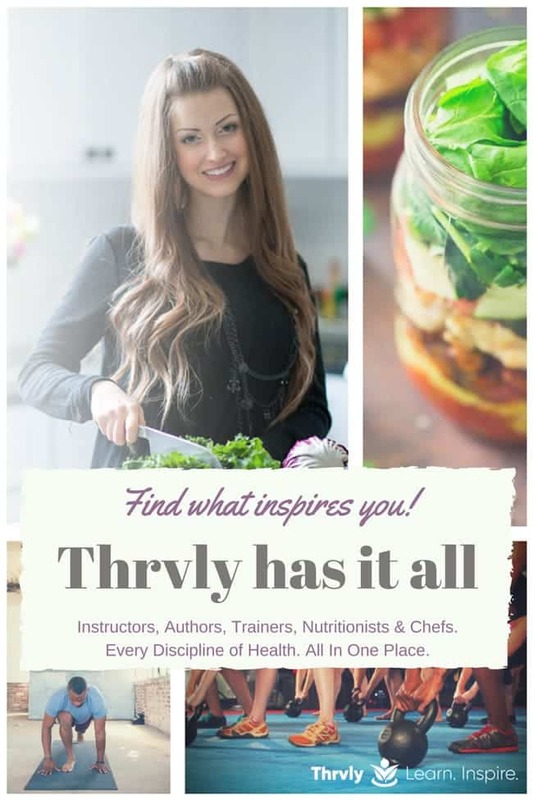 Thrvly is a brand new way for you to discover, and use, the most diverse health & wellness content on the web… in one place. All your recipes and workouts together…with no extra shenanigans! You’ll get my recipes, along with hundreds of other passionate instructors leading inspiring workouts & creating healthy dishes. What’s also nifty, is that everything is rated by users and curators, so you’ll only find the best content. No more searching through grainy videos or investing time in something you thought was going to be great…..but was NOT SO GREAT AT ALL. What Makes Thrvly Better you ask? Your own page to save favorite instructors, workouts you want to use and healthy dishes you want to make. Get where you want with just a few clicks. Save time by having your healthy life resource filled with the recipes, workouts & personalities that are important to you… and nothing else! Thrvly is a comprehensive platform that every type of health instructor can join. You’ll never get bored with so many great personalities. Here you can satisfy all your healthy life cravings. Inspiring workouts & healthy dishes… all in one place on Thrvly. Paleo to Yoga & Vegan to Interval Training. Find your next inspiration… whatever you’re feeling. A Free Month of Premium Awaits! Guys! They gave me more bonuses to give you too! Discounts to spend in Thrvly Shops for apparel and products! This is not a sponsored post but this post may contain affiliate links, but I would only recommend products/services I love. Thanks for supporting FFF! Wow, whoever thought this up was a genius; I love how they combine all the platform ideas into one. When there is room in the budget, I might have to come back and look at doing this.